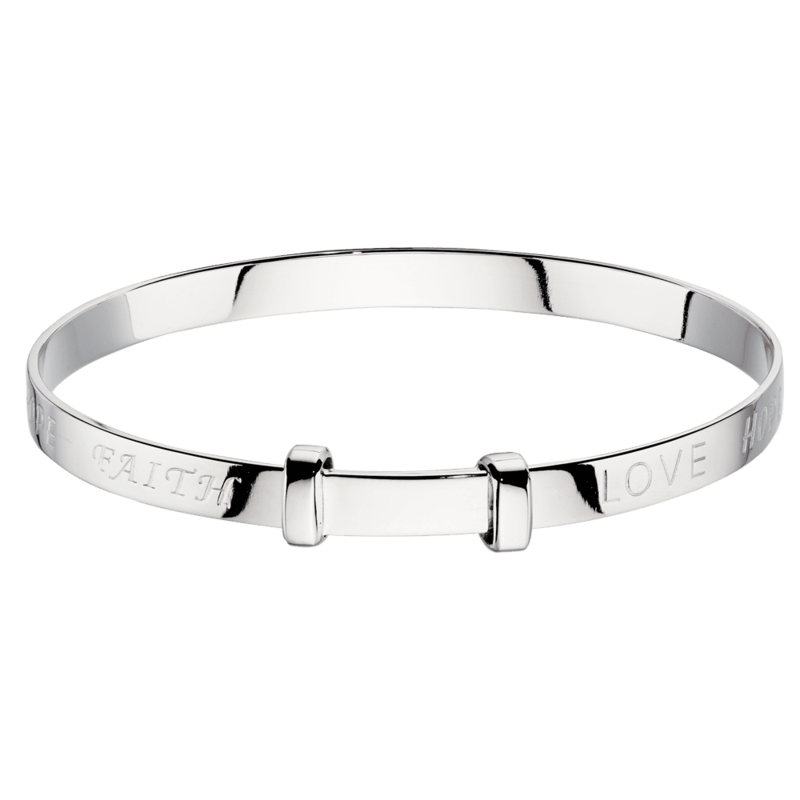 Sentiment with style. 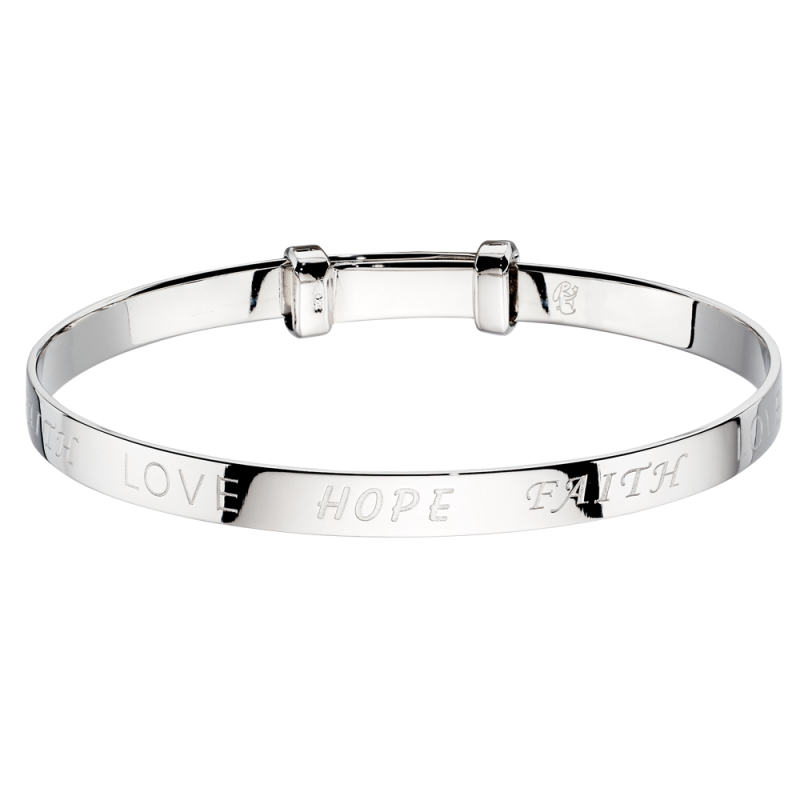 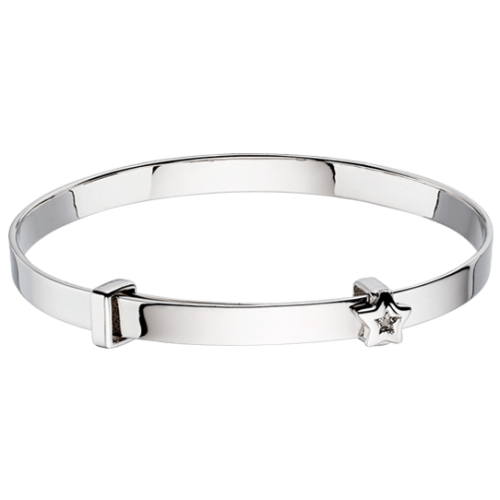 this baby bangle is engraved with the words Love, Hope and Faith. 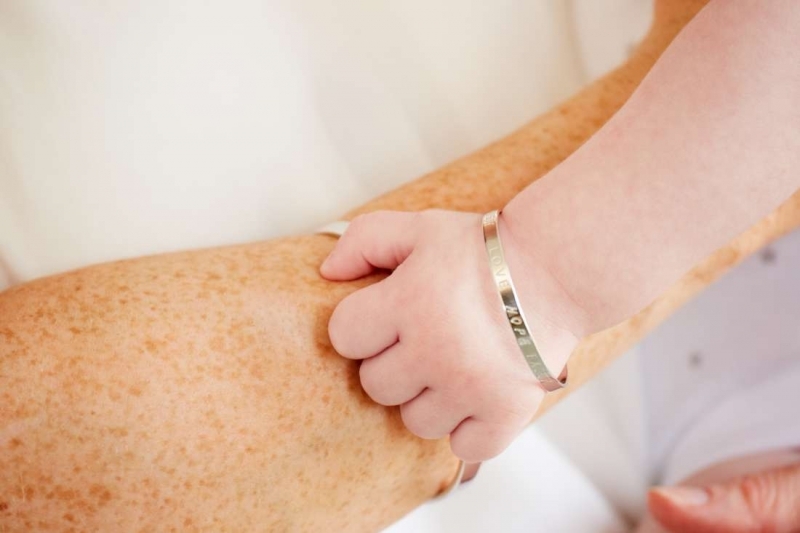 It is a perfect gift for newborns and christenings with a heartfelt message. 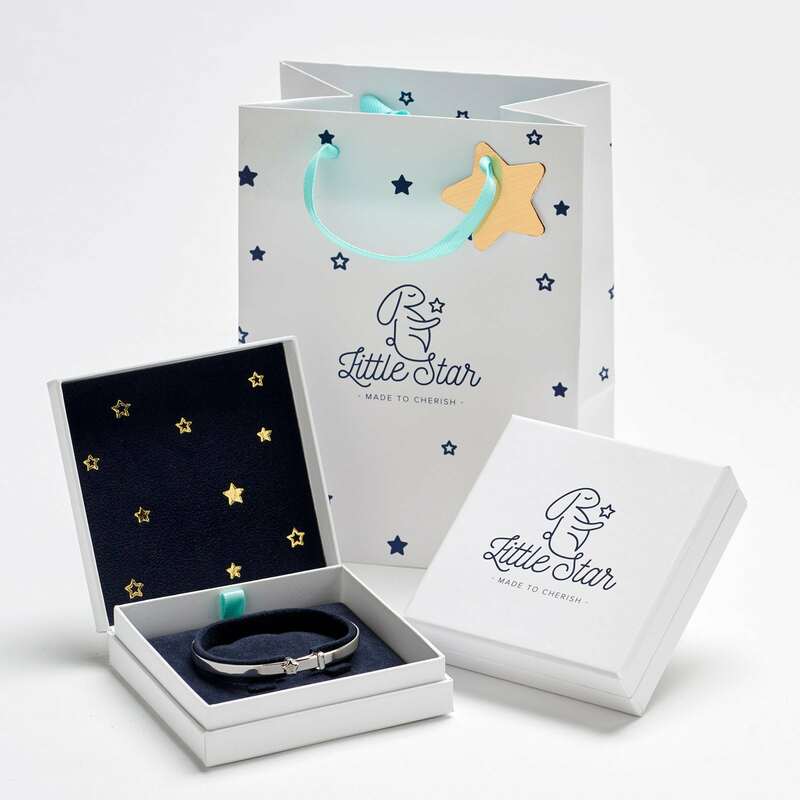 It is suitable for boys and girls and is adjustable therefore can be worn from newborn to age 6. 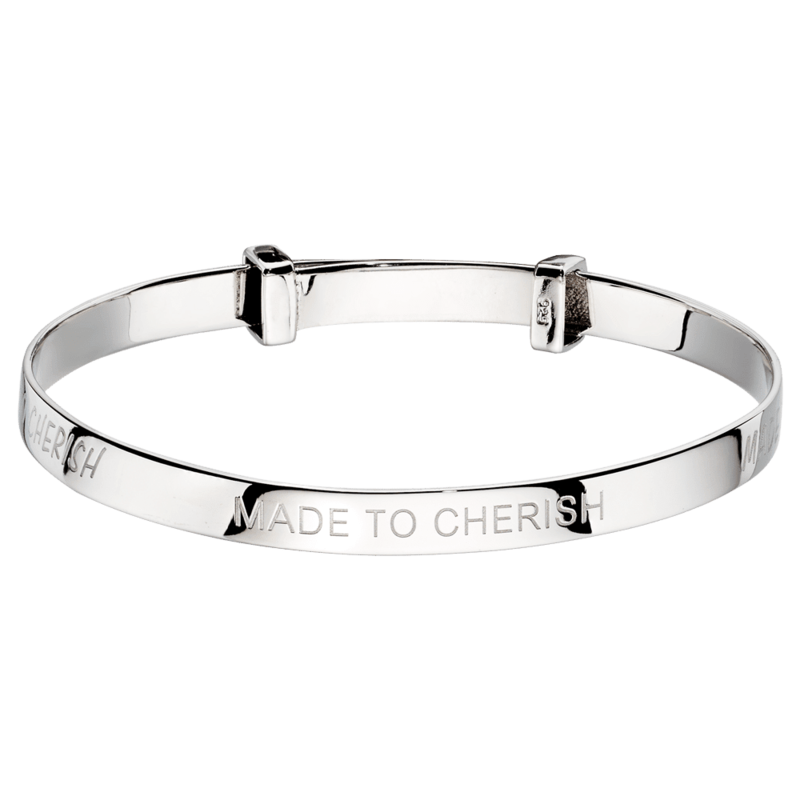 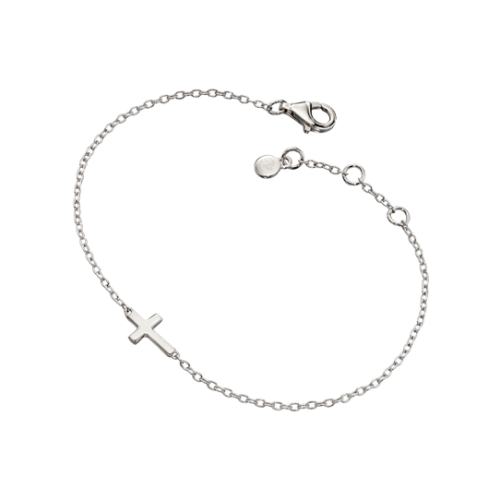 Faith can be engraved inside, so make it the perfect personalised christening present. 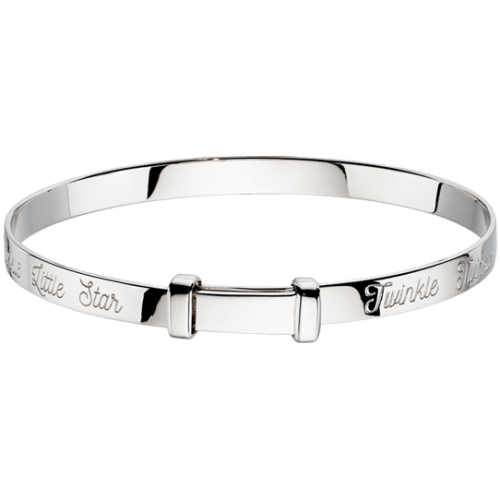 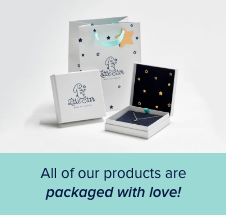 With Free Engraving, Free Gift Wrap and Free UK Delivery.